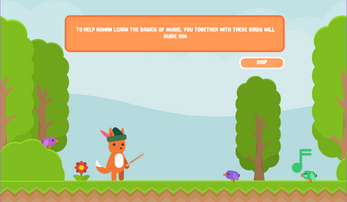 Bard's Lesson is a platform game in which you help a bard fox in his journey to become a maestro by mastering music notation. Rowan, the fox, plays a piccolo and want to learn how to play it through the whistles of the birbs of the florest. To complete each level you must find and match every note of the staff using the time measure to deduce how many are yet to be found, birds sometimes are hidden, so you'll have to match'em all! To play the piccolo you can use Z, X and C for different pitches. 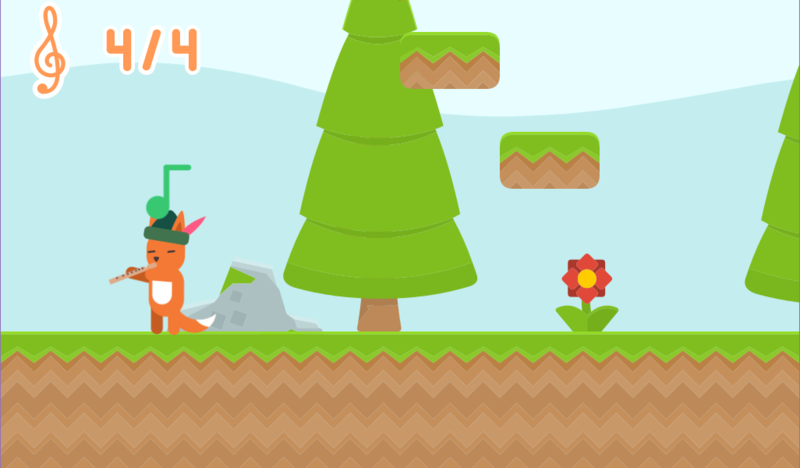 This project is currently, and will mostly be, under development, the version 1.0.0 is a part of the #1GAM challenge, so it was made in less then one month! As an open source project by Pigdev Studio, if you are a game developer you can make a contribution to the project! 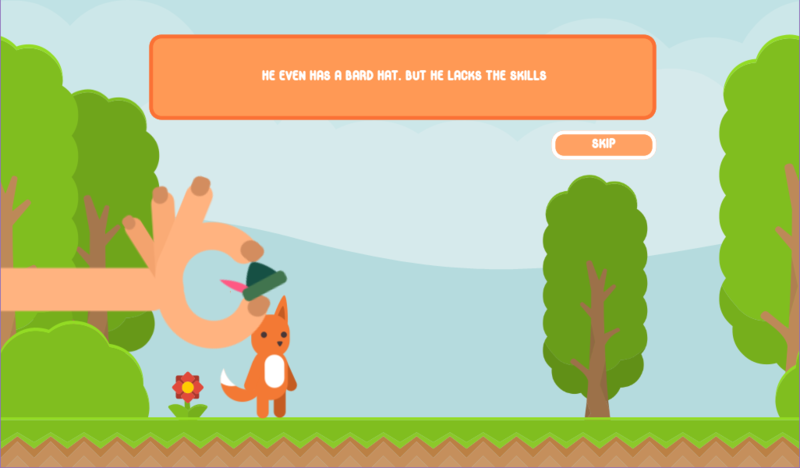 Remember, the assets are also free to use as is the code, so you can fork the game and make your own version, you can even sell it if you want. Are you an artist(both for graphics or audio)? How about add your art to the project and canonize it? And remember, we from Pigdev Studio are making games and tutorials on Patreon, consider support our next game through patronage <3 check out the awesome rewards we offer to our amazing patrons! That's it, keep developing and until the next time! This is adorable! 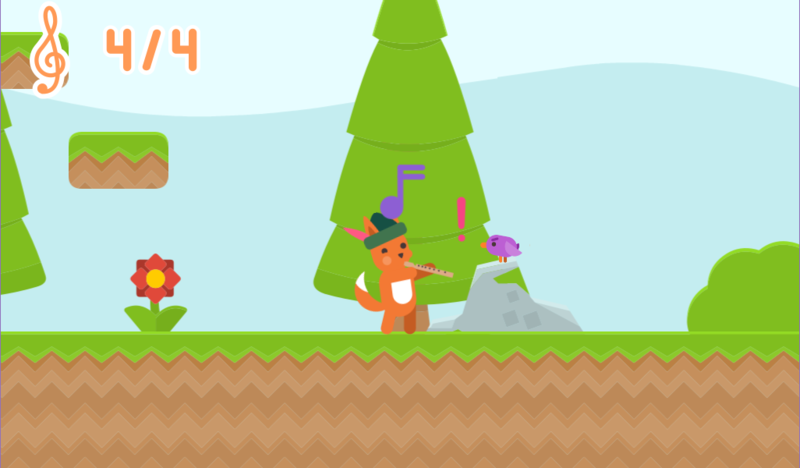 Love the character design, love the giant hand that gives our foxy hero his hat and piccolo, (mostly) love the platforming aspect of it and love having to find all the wee birds on each level before moving on! If this becomes a full-on project I'd love to see some story woven into the mechanics between each level, perhaps some challenges aside from bird hunting and maybe some not quite as torturous jumps haha! Thank you so much for the feedback, I laughed a lot with the video I really didn't think the platform mechanics were so...dumbly implemented LOL. I also took notes of some improvements you suggested, such as the ducking to lower the camera so you could see what's below the character's foot. Heyo! Thank you so much for the feedback. Also, the game is not finished yet! We are planning a bunch of features to implement. You can see what's coming next in the official roadmap. I can't look forward to implement the play along feature in particular. This game is a part of a one game a month challenge, so currently it lacks the most awesome features we planned. But follow still, the best is yet to come .